A video posted to YouTube shows the UK supercar company’s latest flagship, the P1, setting an unbelievable lap time of just 6 minutes 47 seconds. If true, then that would make the P1 the fastest street-legal production car in history to lap the historic and terrifying circuit, known in the trade as the Green Hell. The 12.8-mile (20.6km) undulating track has in recent years become the proving ground for any car with sporting aspirations. As a result, those that know base their supercar and hypercar buying decisions not on acceleration or top speed, but on that all-important lap time. Currently the production car lap-time record is held by the equally rare and exotic Porsche 918 Spyder. In September it became the first such car to lap the circuit in less than seven minutes, posting a confirmed time of six minutes, 57 seconds. To put that into perspective, the 2012 Chevrolet Corvette C6 ZR1 managed it in seven minutes 19 seconds and the mighty Ferrari Enzo in seven minutes and 25 seconds. 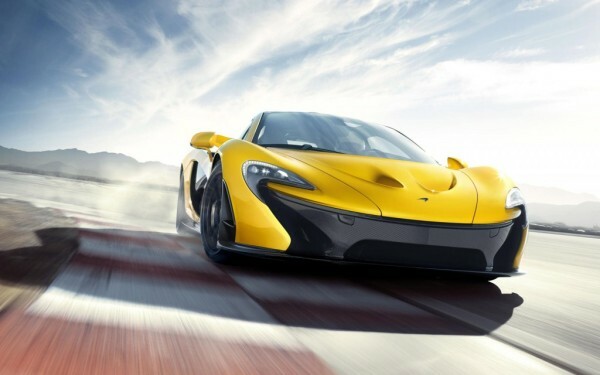 All of which would make the McLaren time — it shaves a whole 10 seconds off the record — even more remarkable. 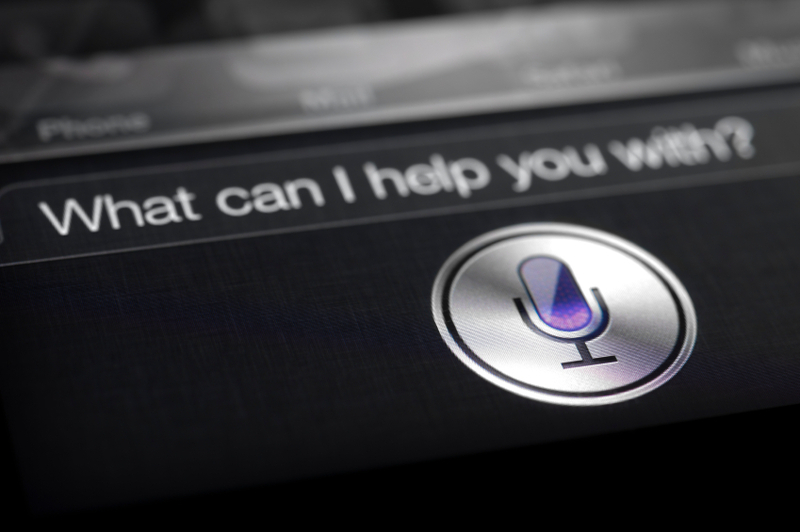 Technology, science, art, and culture website The Verge have created a film giving us a unique look at the inner workings of Nuance Communications – the company responsible for creating Siri’s voice on iOS. The 10-minute documentary charts the history of voice synthesisation from its origins in cars like the Chrysler New Yorker in 1983 through to modern day use in products like TomTom and iPhone. We also hear from voiceover “talent” like Allison Dufty, who was first discovered while reading out the specials in a restaurant. 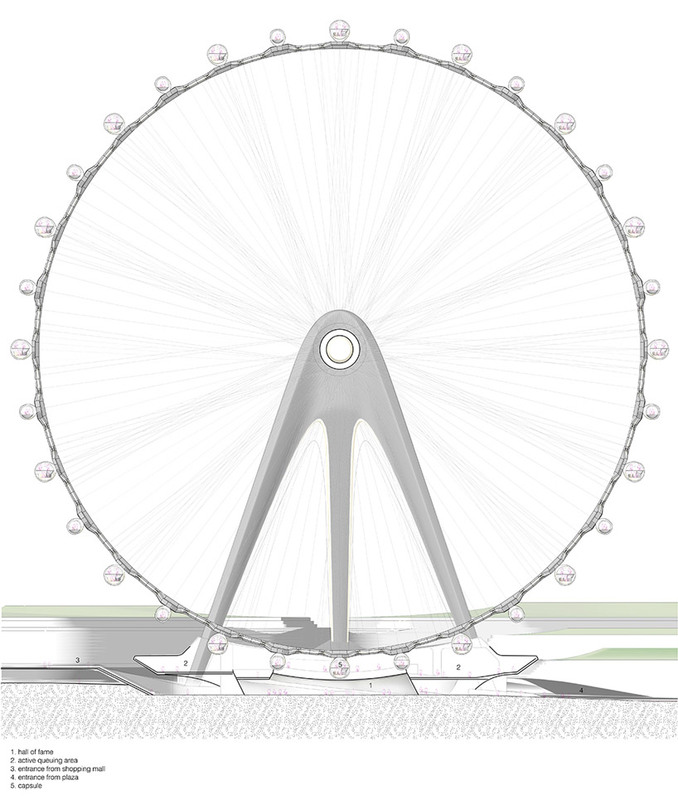 International practice UNstudio was commissioned by ferris wheel investment to develop a giant observation wheel in Japan, an amusement structure that is widely popular as a form of entertainment for the island nation. 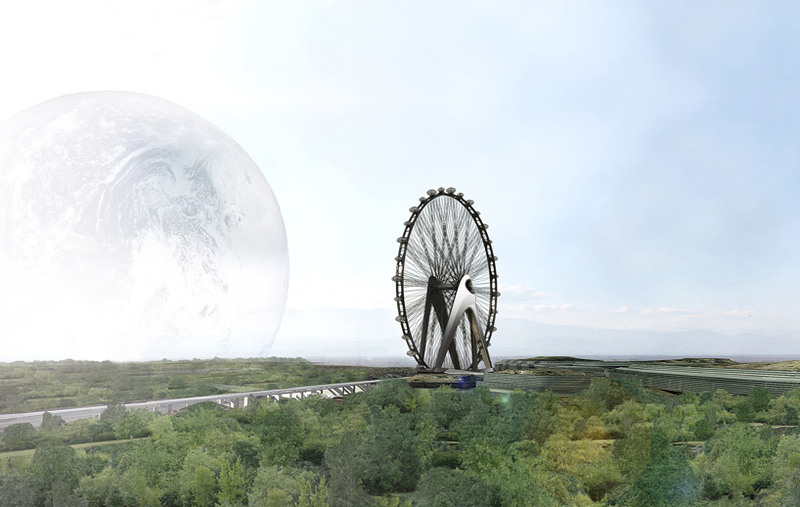 ‘Nippon moon’ has been envisioned to differ from existing ones of its kind with a comprehensive interactive system, developed in partnership with experientia who assisted in providing research on how behaviour could influence user’s interaction with the architectural and digital infrastructure. One’s all-encompassing experience is largely influenced by an accompanying augmented reality app which focuses on three main areas: discovery, the ride and the return. 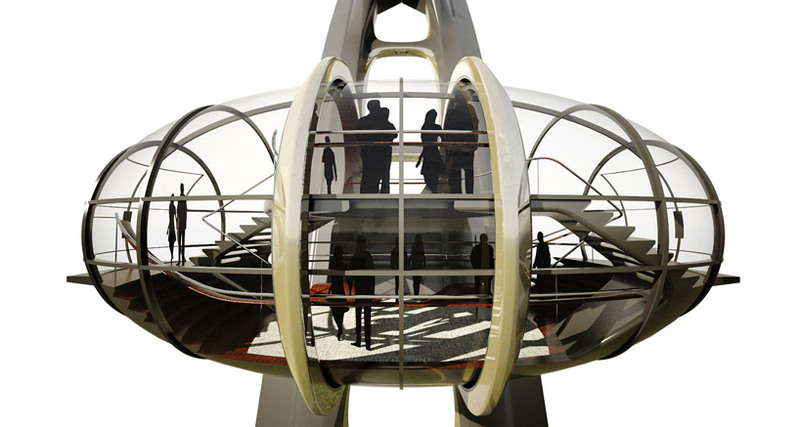 Upon reservation, one must choose the type of virtual journey they wish to take, as each single or double-story capsule has a different theme relating to history, culture, or the environment. From the moment you buy your ticket, the interaction begins. The digital AR platform allows users to see how many seconds are left until their departure. Upon arrival, participants have the freedom to view the welcome area and facilities in ‘active queuing’, instead of waiting in a traditional line for their turn. Upon embarking, the app which works for smartphones and tablets also functions intuitively with each of the pod’s transparent technological skin, becoming a communication device between cars. this kind of information tailors a one-of-a-kind experience, enhancing one’s perception of their chosen topic. One’s senses are further heightened through the integration of augmented animations and sounds. Afterward pictures taken by visitors are posted to the hall of fame in the lobby, becoming a continuous part of the journey after disembarking. 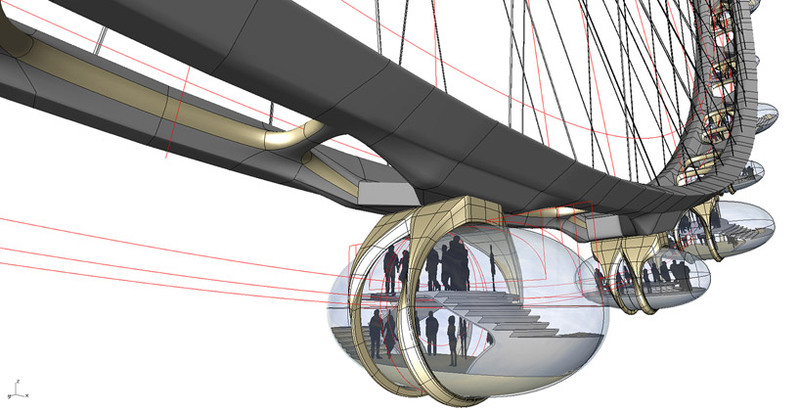 Thus, the design creates an active learning environment for riders with the hope to create a significant memory and impact on japanese culture. 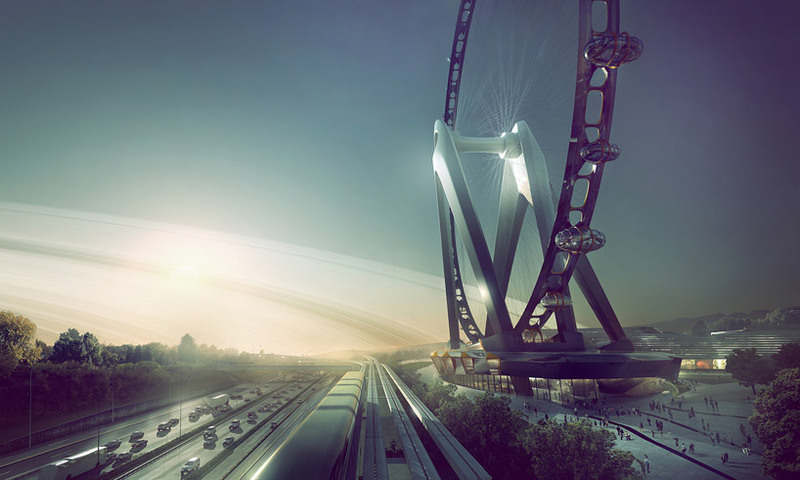 The concept of observation wheels is not new, but UNstudio’s concept combines design, with engineering to create a fully integrated virtual world. “Just go for it. Don’t live in fear of making mistakes, accept them as being part of life’s plan for you, so learn from them and do them right.” For 28-year-old Ryan Doyle, his favorite words are, “Get Over It”, which the young Parkour athlete follows “literally”. Doyle’s new journey stops in Dubai. Joined by Kuwaiti Parkour athlete Mohammed Al Attar, the two explore the roots and history of the city. Although it’s mainly filled with rooftops, ironically it keeps him grounded and makes him appreciate every adventure he jumps or flips into. Red Bull has a rich history of giving wings to creative and talented individuals in sports and culture, by enabling them to challenge limits and do what was once deemed impossible. Explore the inspiration behind some of our athletes as they continually push boundaries and enter uncharted territories. A calendar with a difference not only does this calendar boast a unique geometric design, but it also has heat-sensitive ink on each day hiding a fascinating fact. Simply choose your date, touch the black square and watch it disappear to magically show a fact about that specific day in history. The blank ink only disappears temporarily so once the square has cooled, the fact is then hidden again. Plus, the unique design provides space for you to write down all your daily tasks too. 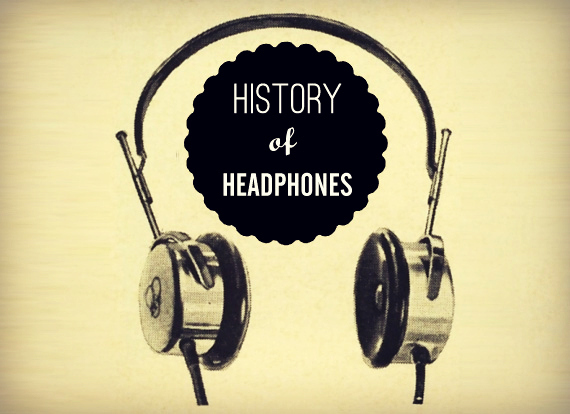 The History Of The Headphone. Surprisingly, not everyone wants to hear our music. When we were pumping our LCD Soundsystem mixtape, others in the office said they couldn’t “concentrate” and they “wished we were fired.” For this, and for many other reasons, headphones are an absolute necessity in our daily lives. It was long before Steve Jobs produced white earbuds and Dr. Dre jumped in the game, however, that people began getting tunes pumped into their ear canal. Here’s basically how it all went down. 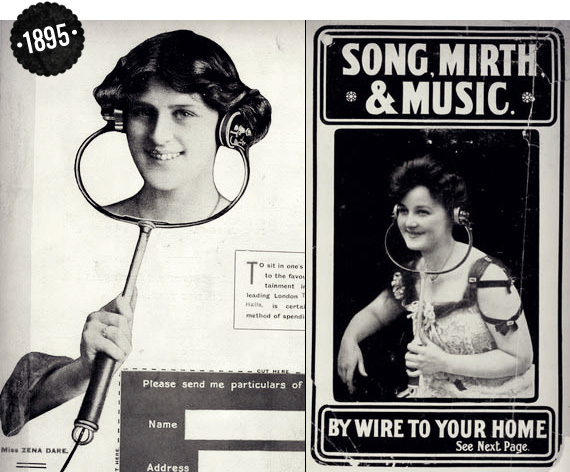 1881 – Way before MP3s, dubstep and premium Spotify accounts, headphones had little to do with music at all. 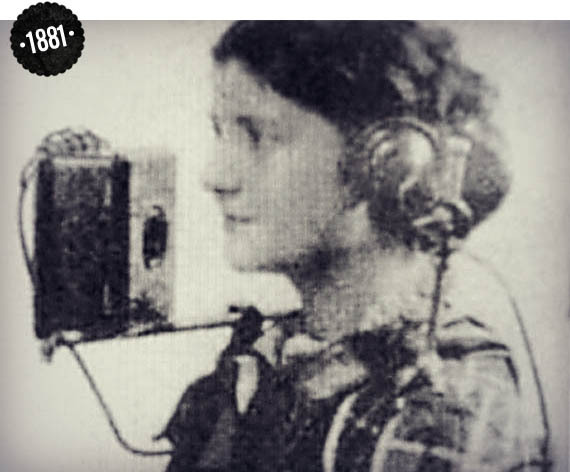 Back in the 1880’s, the first headphones (or at least their early ancestors) were used by telephone operators. It was a single earpiece that rested on the user’s shoulder and weighed over 10 pounds (kinda like placing a boombox on your shoulder). 1895 – Thanks to the Electrophone system, in 1895 folks could start rocking out to the sick beats of the local opera house from the comfort of their own home. Subscribers to the pricey service would listen through headphones that looked more like stethoscopes than a modern offerings as very large people produced very big sound on a stage miles away. 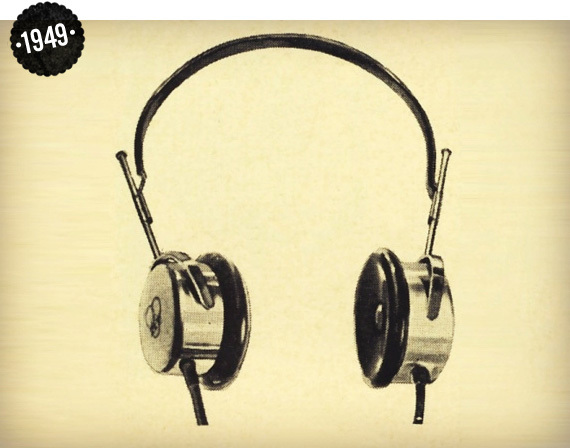 1910 – Nathaniel Baldwin began manufacturing the first modern headphones. He crafted them in his kitchen and sold them all to the U.S. Navy. This was the first time a pair of cans resembled something you’d see today. Baldwin never patented them, however, because he was an idiot. 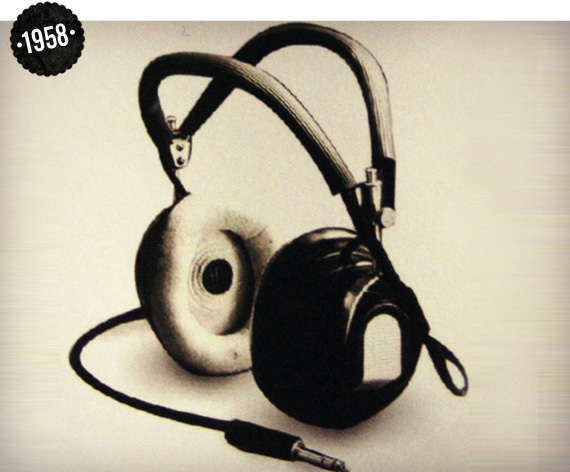 1937 – The DT-48’s from Beyerdynamic became the first dynamic headphones to hit the market. Though it would be a few decades before electrostatic headphones came into play, this was obviously a huge leap forward in the can story. 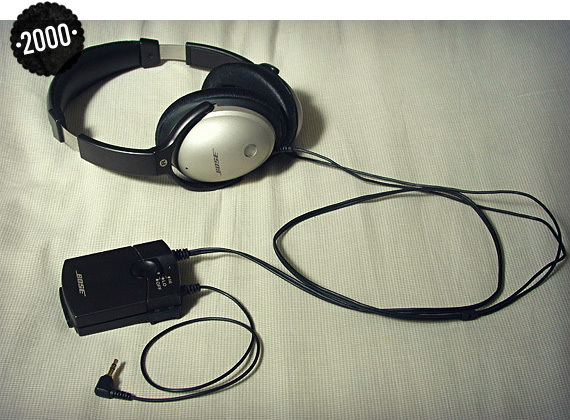 Dynamic headphones are, to this day, the most popular type on the market. 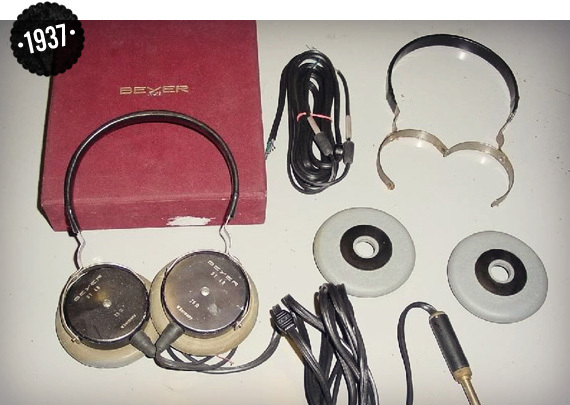 1949 – With design in mind, AKG produced their first pair of headphones, the K120’s. If they were reproduced today, they would sell like hotcakes at Urban Outfitters. This model, and other more popular ones that followed, were enough to make AKG quit the film equipment business and focus just on audio. 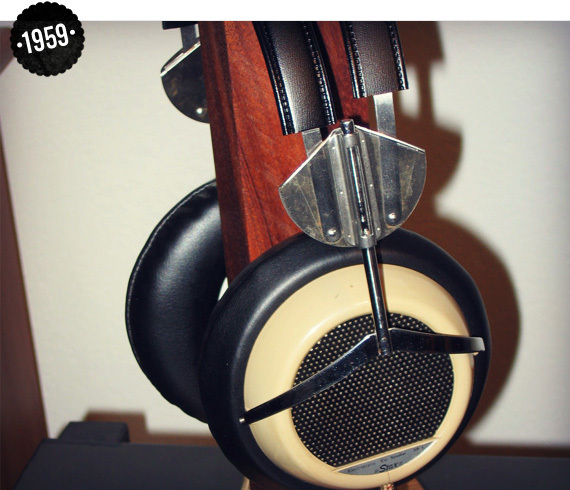 1958 – John C. Koss changed the headphone game in a way that would make Dr. Dre jealous. 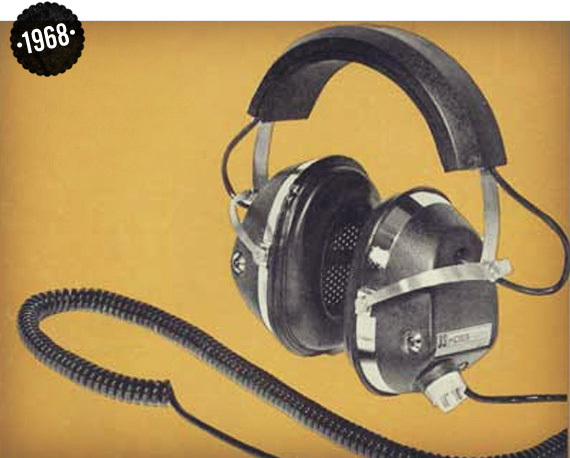 In 1958, Koss created the first stereo headphones (Koss SP-3) and launched an all out assault on awaiting ear canals. Over the next few decades, Koss would come to dominate the headphone industry, and he would do it all without the need for a pesky college education. 1959 – At a show in Tokyo, Stax debuted the world’s first ever electrostatic pair of headphones. The SR-1’s would go into production a year later. They are now extremely rare like an original pair of Nike Air Mag’s or a headphone user without hearing loss. 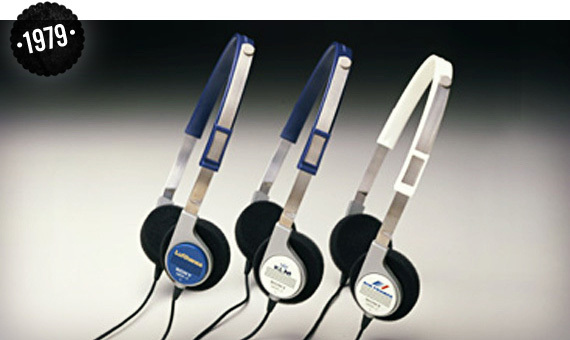 1968 – A decade after introducing the first stereo headphones, Koss unleashed the first US made electrostatic model. The ESP-6’s clocked in at around two pounds, meaning they weren’t exactly like putting in a pair of earbuds, but were still a long ways from the massive pieces created less than a century before. 1979 – If you had to pick the most important event in headphone history, you’d be hard-pressed not to choose Sony dropping the Walkman. All of a sudden, headphones had to be portable. Included with the purchase of the first Walkman were Sony’s MDL-3L2 headphones and everything you needed to rock out to London Calling while roller skating in your driveway. 1980’s – For the man who was prone to headphone hair, the 80’s offered the first solutions. Both the earbud and the in-ear headphone made their way onto the scene in the 80’s even though they wouldn’t reach their peak in popularity until one Steven Paul Jobs changed the music game years later. 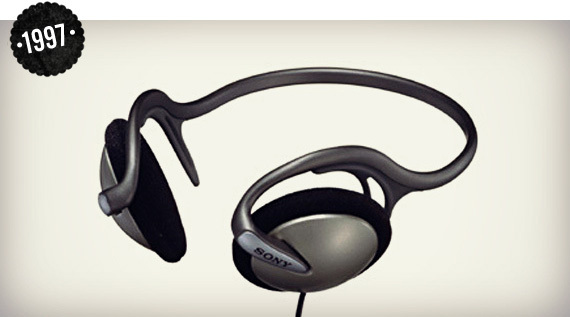 1997 – If you wanted to keep your hair in check but also hated the fact that earbuds couldn’t isolate sound well, Sony thought you might like a pair of neckband headphones. You didn’t. 2000 – Screaming babies and loud snorers met their match when Bose unveiled their QuietComfort line. Though pilots had been using noise-cancelling technology for decades, now passengers could also get some relief on loud flights (or in front of the TV with a nagging spouse). 2001 – The iPod changed up the whole music universe. 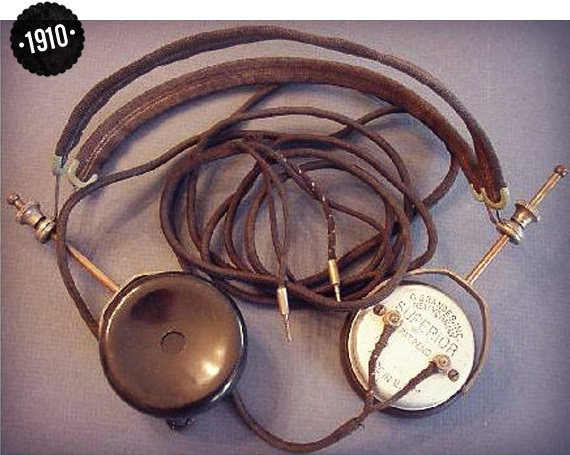 It became common to see people with a white cord running from their pocket to their ears multiple times a day. 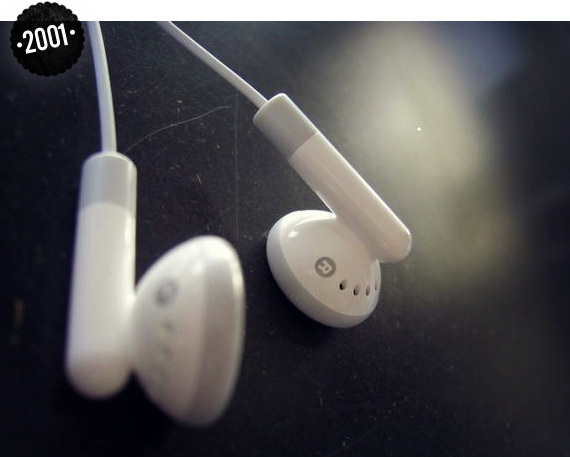 From their inception in 2001 to today, over 300 million iPods have been sold all with the accompanying pair of earbuds. 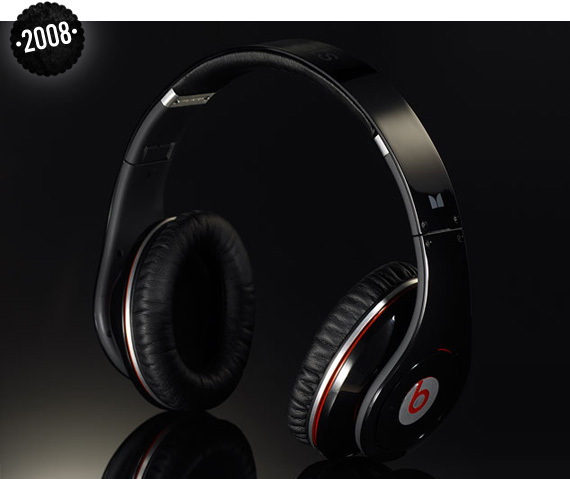 2008 – Dr. Dre and Jimmy Iovine joined forces and, along with Monster, created Beats by Dre headphones. Designed with deep bass and great sound quality in mind (this is debatable), the Beats line quickly grabbed a large market share and could be seen on just about every NBA player as they walked from the bus to the locker room. 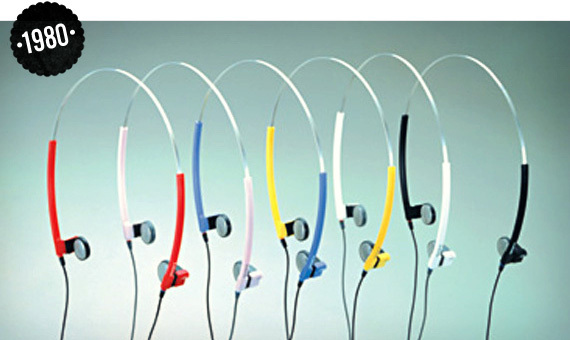 2012 – Headphones have become as much about style as they are sound quality. 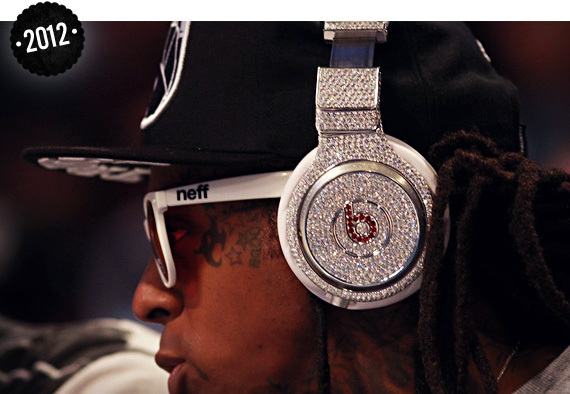 This may never have been more relevant than when Lil Wayne wore these $1 million dollar pair of Beats.